Hi everyone, so today I have such an amazing polish to share with all of you. I have had this baby sitting in my collection for a number of years now and it’s one of my favourite purples of all time. It’s a polish I turn to a lot in the Spring & Summer time and while it is a bright polish, I kinda consider it a “dark” spring polish but yet a summer “bright” shade, does that make sense? lol. Lets get to showing you this polish! OPI Purple with a Purpose – is a stunning midtone purple shimmer polish infused with refined micro shimmer particles. Thankfully this polish is a part of OPI’s permanent collection so you don’t have to worry about it being a limited edition. I have gotten so many compliments on this polish over the past couple of weeks when I wore it last. It is definitely an eye catcher but for some reason I think it is one of the most underrated OPI polishes and it deserves more mention on blogs & Youtube because it’s stunning! This photo captures the polish in it’s truest colour – I love it!! It was opaque on two coats, was very easy to apply and it dried quickly! As with all OPI polishes though, it does chip on me by day 2 or 3 but the colour is worth it! I did notice that by coat #2 that for such a dense shimmery polish it applied flawlessly without brush strokes! Lately I have been in a rocker chic mood in the past couple of days and this polish really hits the nail on the head in terms of style, trend and season. I love wearing it with simple clothing like jeans and a comfy shirt because the polish just stands on its own and it looks LUXURIOUS on your nails! In fact, I’ll go so far as to say it’s IMPERIAL – it honestly glows off your nails!! 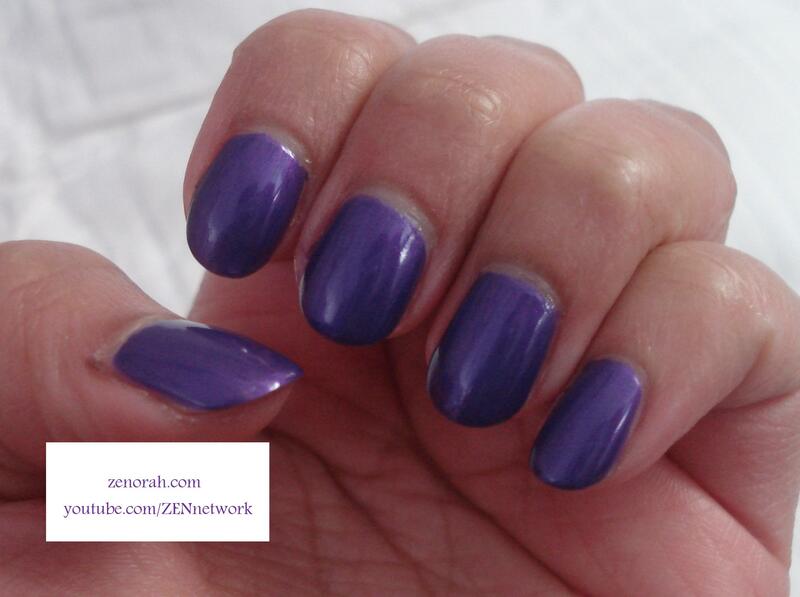 You definitely need this shade in your collection and if you’re a lover of purple polishes, it is a must have! Do you own OPI Purple With a Purpose? What are your thoughts on this nail polish? This is a gorgeous polish, it looks great on you.